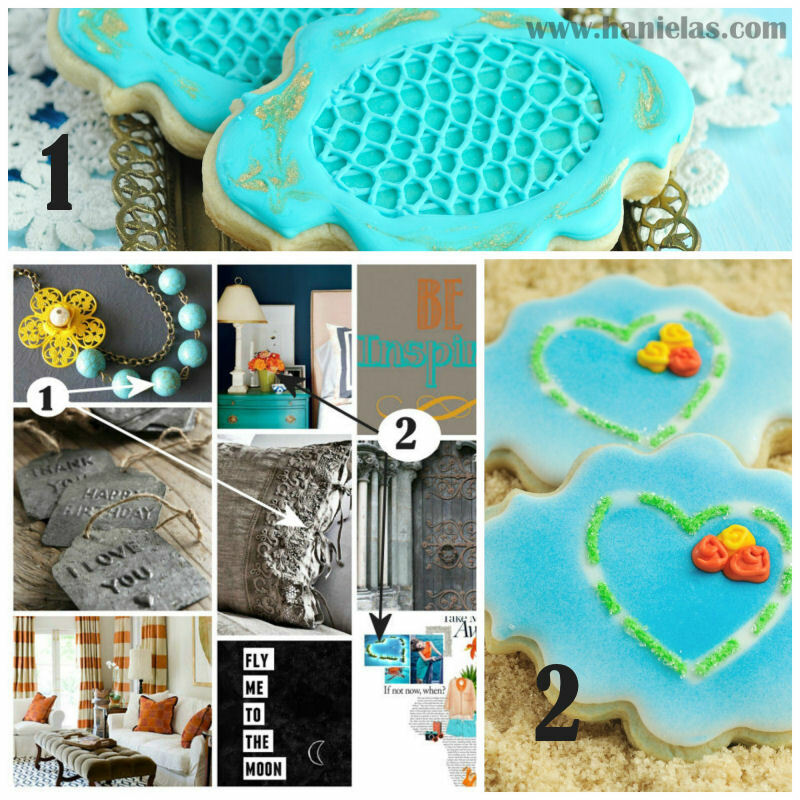 It is a COOKIE CHALLENGE time over at Lila Loa. simple, really simple. Simple is really hard for me to do. 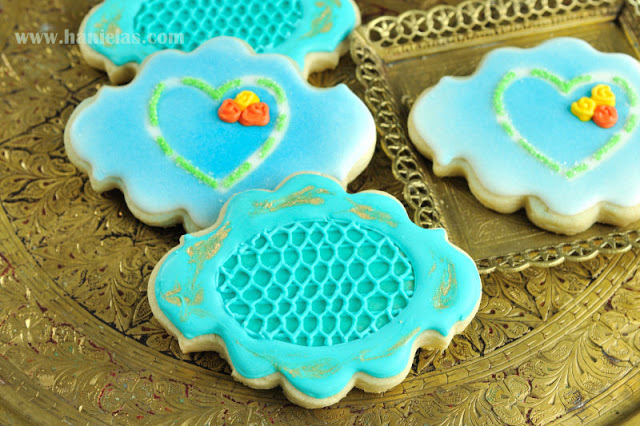 I made 2 designs for the challenge, you can see my other design for Lace Cookie with Gold Accents here. 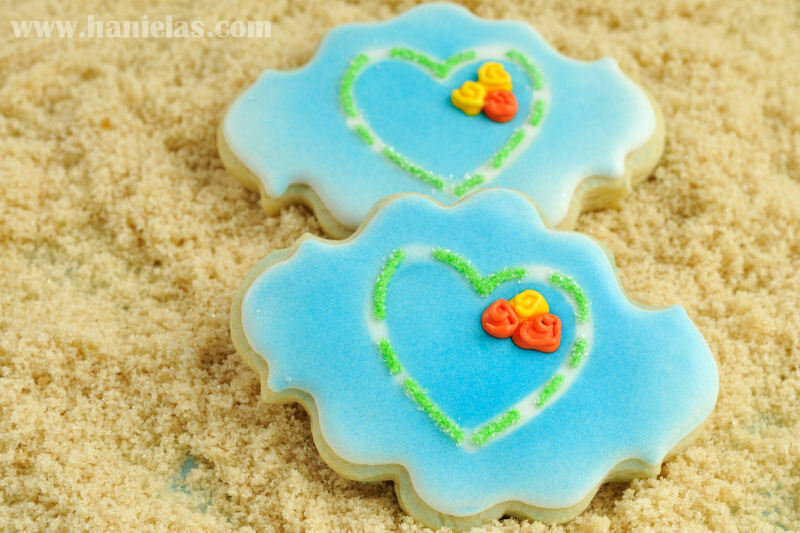 My design for the second cookie was inspired by a heart image from the tropical inspiration board. I have a thing for hearts and I just simply couldn’t let it go. Also with the heart I combined roses, as well as colors from the night stand.